My youngest daughter came down to visit me this weekend. I asked her to bring her guitar so we could sing. I love music. We sang a lot and she played and sang many songs for me. I could not have asked for better medicine! My wife and two daughters hold my heart in their hands. Greetings to an audience long since gone. It has been so long since I logged in here that I had to look up my login information. I wanted to pass along some information about my youngest daughter, Ariel. Just three more days and she will be finished with her MAT. (Masters of Art in Education) Her diligence has amazed me. I do remember being her age once upon time, but I get tired just watching everything that she does. Her entire life is centered around serving God in whatever capacity that would be. She has always had a heart for missions and has eagerly prayed that a door would open for her where she could serve best. I hope that you will check it out and follow it to offer her encouragement along the way. When she was young, she was terrified to not be within reaching distance of her mother. So watching her grow up into a confident young lady, who has such a passion for people, has been an amazing journey. She leaves for Florida mid June for some training before heading off to Mexico. I personally covet your prayers and well wishes for her mission, purpose and safety. I have no doubt that she has become a Lion(ess) For God and am eager to see the fruits of her ministry. I thought I would use the title of my blog to do a little preaching at myself. Though I must admit that wallowing in sorrow at times is much easier. I do not need to reiterate how difficult the past three months have been for me. At times it has felt like I was at the bottom of a very deep, dry well; and the only help I got was someone threw me a shovel. That sounds rather dramatic, but there it is. As I am writing this, I am in my bedroom with the door closed and the lights off. That in and of itself is nothing rare. But what is rare is that in the living room of our home I am hearing gales of laughter and giggles from a bridal shower. One of my nieces is getting married next week and my daughter, as her maid of honor, is throwing her a shower. Laughter, fun, refreshments, hugs, gifts, etc. Everything that stand in stark contrast to how I have felt all summer is just a few yards away from me. Is that wrong? Of course not. Is it wrong that I just now answered a call from a good friend with news that he is getting married? Of course not! I am very happy for all of them. Yes life has sorrow and tears, but life also has so much love and happiness. Always look for the silver lining in whatever storm you may find yourself in. So taking another dose of my own medicine….life does go on. James 1:2-3 Count it all joy, my brothers, when you meet trials of various kinds, for you know that the testing of your faith produces steadfastness. So the trials of life will seem very burdensome at times and attempt to squelch our joy. But through it all, we can take comfort that the ultimate joy of Jesus Christ in our lives will produce an unshakeable faith. Something that my parents would have, and did tell me over the years. I must always continue to remember and live out the biblical truths that have been passed down to me. At 12:57 AM, Friday, October 9, 2015, my dad passed into glory. Three months and two days after mom. 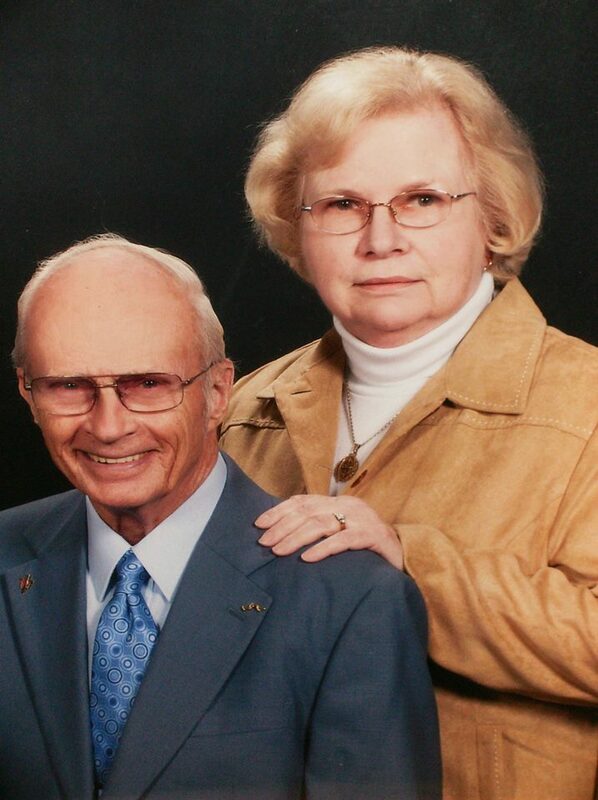 Dad’s health was on a steady decline after mom passed away. The hospital labeled it as “Failure to Thrive”. I labeled it as a broken heart. Over the past three months I had the joy of spending many hours with him. Albeit many of those hours were at the Emergency Room or by his bed in a hospital. Since the technological wonders of this generation do not work in hospitals (maybe for a good reason?) we got to sit and talk. Much of the talk consisted of dad grumbling that he was ready to go home. That was always a good indication that he was feeling better. So we would talk about things important to him, and the topic always centered on his eagerness for the rapture to occur so that he could once again be with mom. He could not speak of mom without tearing up and telling everyone with a willing ear, what a wonderful woman she was. He showed everyone in the hospital, and later at Gosnell, a small black and white photo that he had of mom. 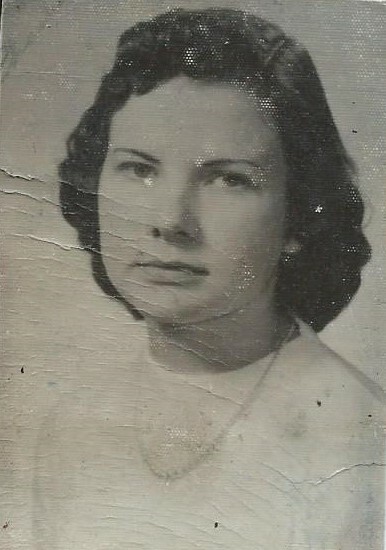 It was her graduation picture with a faded inscription on the back speaking of future plans and how much she loved him. He was so proud of mom, the love of his life, and that picture never left his wallet. As the days wore on, I could hear increasing sadness in his voice, see the loneliness in his eyes, his walk turning to a shuffle and his overall decrease in health. He had been admitted in the hospital several times for pneumonia and falling. Even though we were making sure that he would eat, he was rapidly losing weight. I hired a Health Care Agency to start assisting him at home. All of us were taking turns doing his medications, housework and errands. Yet in spite of all we could do, we all knew we were losing him. One day my brother and his wife showed up at his house and found him lying on his kitchen floor. Living alone was no longer an option for him. My wife and I found a wonderful assisted living home for him just a few miles from his own home. I talked with him about the necessity of the move. He just simply agreed and went along with everything we suggested. Once living in his new “home” he seemed content but he often told me that it was not his home. That he was tired, missed mom, and was ready to go to his final home. 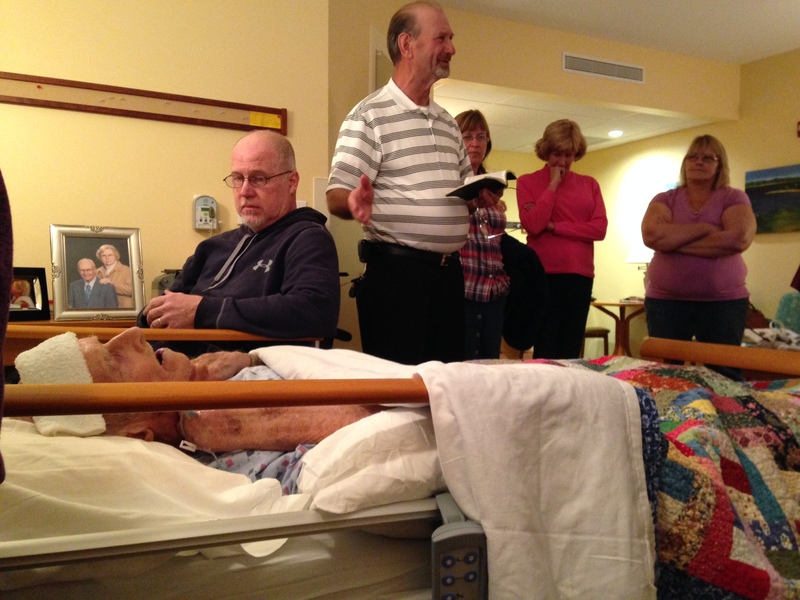 He lived at the assisted living home for one month, and every day his health and strength continued to decline. On September 27th, Wendy and I brought him to church with us and out to eat lunch. He was very weak and slow but always happy to be with family. The next day, he went into the Emergency Room for what I thought was another case of pneumonia. Every test (and there were many) that they performed indicated nothing physically wrong with him. Though he had no strength and could no longer walk. They admitted him for the night for observation. The next day I went to the hospital and had a meeting with the social worker. She had been following his case since mom’s death, and she told me that the decline in dad’s health was severe and rapid. Failure to Thrive was the diagnosis and she told me he now was at the point of needing Hospice. Difficult words for all of us to hear, but we all knew she was right. The only difference is that we said he was dying from a broken heart. Gosnell Hospice Home in Scarborough was mentioned and chosen. The next day we met him by ambulance as they checked him into his private room. I cannot begin to say enough good about Gosnell Home or the loving staff. Everyone we spoke with always had the time to listen and acted like dad was their only patient. From October 2nd to his death on October 9th was without doubt the hardest week of my life. Mom’s death happened so fast that none of us hardly had time to think before it happened. This last week that I spent with dad has bitter sweet memories for me that I will carry to my own grave. I was there every day before sunrise and left late in the evenings. Outside of stealing a catnap in my van a couple of days, I sat by his bed holding his hand. No longer able to swallow, he ceased eating and drinking and we did all we could do to keep him comfortable. He slept most of the time, but would wake to our touch, offering a small smile and a raspy hi. He told me numerous times how tired he was and that he was ready to go home. Unable to open his once brilliant blue eyes, speak or move for the past two days, I would take a pillow, lay it on the bed by his head and I would just sit in my wheelchair, resting beside of him while holding his hand and often softly humming to him. Somewhere in his mind I hope he knew how much I loved him and was there for him. He slipped away in the middle of the night peacefully drawing and exhaling his last breath. A man of great faith that was finally at home with his Savior and reunited with his wife. No longer with a broken heart, but singing praises to his God and King for all eternity. Both of my parents now deceased, in earthly terms, leaves me an orphan. Yet both of my parents made sure that I would never be an orphan. They left me with the knowledge of my heavenly Father leaving me not an orphan, but a child of a King. That is the legacy that my brothers and I were left. That is the legacy that as parents, I pray that I can pass on to my children. I am not an orphan. What I am is a son that was blessed with a wonderful earthly father that taught me about my heavenly father. Someday soon, I will see my parents again and be part of God’s family where we will never be separated again. I’m sitting here in dad’s room alone with him, and the time is precious and needed. I have sung a few hymns to him, held his hand, prayed with him and even played some fake piano to him on my iPad. A mix of the present and the past. He is lying peacefully in bed, breathing slowly and never moves. How much longer will this be? Only God knows. This makes day four that he has had no liquids or nourishment because he can no longer swallow. I don’t have a lot to say here at the moment, but I did want to share an old family picture that has been taken out of hiding after many years. The person on the far left is my Uncle Les, now deceased. My dad is the dashingly handsome man (my words) behind him. 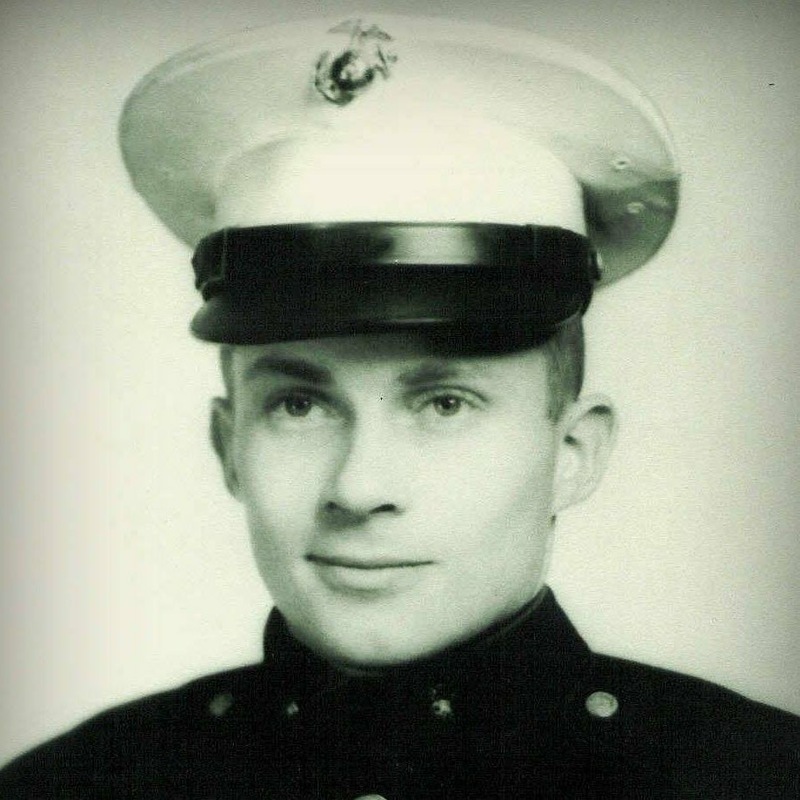 Next is the youngest of the four brothers, my Uncle Fred. The man with the pipe is my Uncle Walt, now deceased. 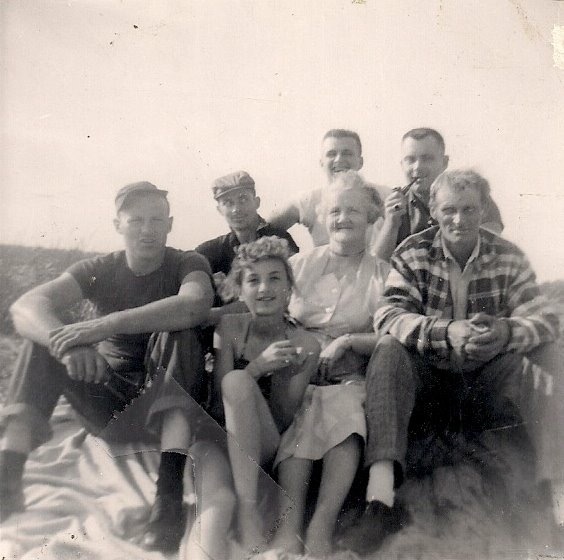 The young lady in front is my Aunt Ruth, then my Grandmother, Carlotta, and my Grandfather, Carl, both deceased. Looking at this picture now, about 60 years after it was taken, my dad looks so much like his father that it is uncanny. From that small group came 20 grandchildren, great grand children and more than I can remember or count or future generations. Today is Tuesday, October 6, 2015. 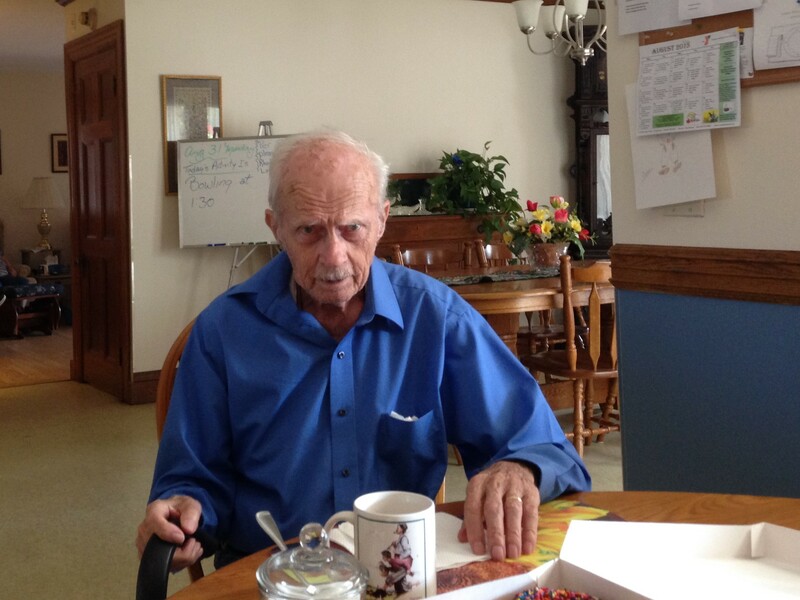 Saturday was the last day that dad took in any liquid or nourishment. The rule of thumb is typically three days without fluid. He did not have a good night last night and is breathing very raspy and shallow today. The nurses here have upped his morphine for pain and have given him a medication that will help dry up some of the fluid in his lungs. Books and Hollywood tend to romanticize death. Spending the last few moments with someone, tender looks, tender words, that final touch of farewell before sliding peacefully off to a better place. I beg to differ. I had an hour alone this morning with dad in his room. during that time I just sat there and sang quietly to him. I remember what peace that gave to me when Wendy did that for me so many years ago after my injury. Whenever I came to some level of consciousness, I would hear her voice and it calmed me. I hope I was able to do that for dad. 21 For as by a man came death, by a man has come also the resurrection of the dead. 22 For as in Adam all die, so also in Christ shall all be made alive. 23 But each in his own order: Christ the firstfruits, then at his coming those who belong to Christ. 24 Then comes the end, when he delivers the kingdom to God the Father after destroying every rule and every authority 25 For he must reign until he has put all his enemies under his feet. 26 The last enemy to be destroyed is death. 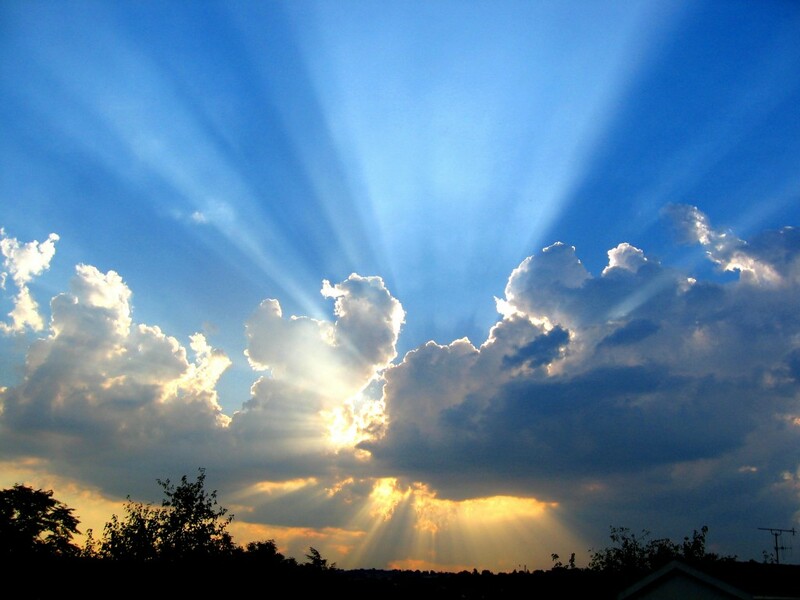 The beautiful promise from God is that the enemy, death, will ultimately be destroyed. Dad right now is facing that enemy. The comfort for all believers is that the final enemy will be defeated. The defeat of death will mark the new beginning for dad. I know this. I believe this. Yet facing any enemy is never easy and will leave me with scars. Just as Christ was scarred for me. The past three days have been very difficult ones. We are now on day four of dad being in a Hospice home. We all know the end is very near, so we look for the small bright moments. One of those moments happened yesterday. There were twelve people in dad’s room and we were talking and reminiscing like all families do. During this time, dad was laying in his bed, not moving, eyes closed, and in a deep sleep. My cousin Wendy had to leave and we were all saying our goodbyes as the group began to break up. 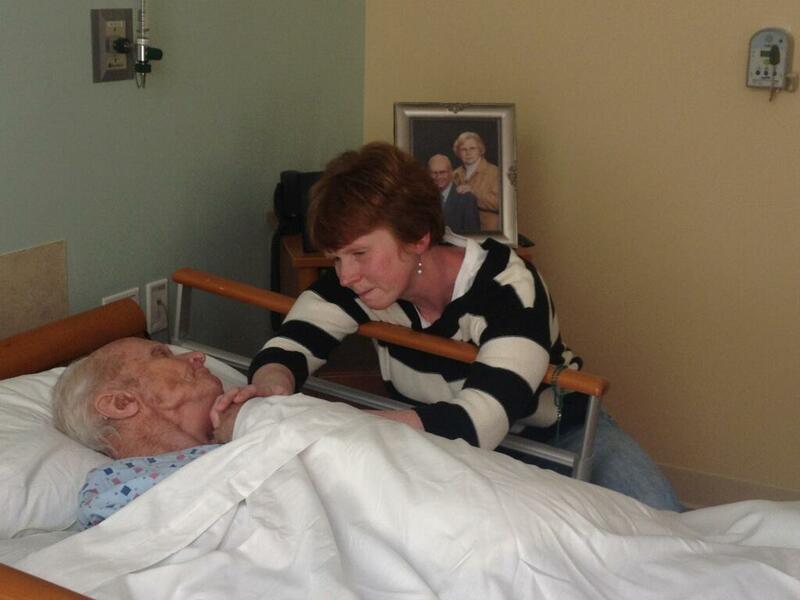 Wendy went over to dad’s bedside to say goodbye. She knelt by his bed, took his hand and bowed her head to say a prayer. The rest of us stood by watching. While she was praying, dad’s eyes opened and he slowly moved his hand to put it over hers. Wendy opened her eyes to find dad looking at her with a smile on his face that we had not seen in days. He just stared into her eyes and continued to smile. What he was thinking none of us know. But one thing we do know, is that for that brief moment, he and his niece shared a moment that none of us present will ever forget. Tears flowed from everyone as Wendy just stared into his smiling face and shared a look of love.